Messages are translated into 100+ languages . 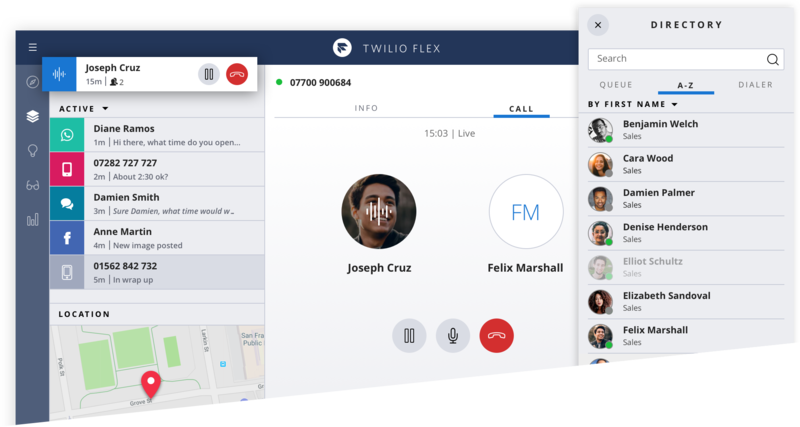 Remove the inefficiencies and ineffectiveness of current messaging tools Flex comes equipped with tools to power a contact center and the cloud-based infrastructure to scale elastically . When the network is the problem, what’s the solution? Most of us have experienced the annoying effects of degraded video conferencing quality: audio becomes robotic and choppy while video turns into a sequence of blurry pictures. This is frustrating for end-users who tend to complain to application developers and platform providers asking for a solution. However, experience shows that most of the time, what causes these problems is the network access of the end users themselves. Notably, crappy wifi. When video conferencing, all these problems contribute to the degradation of the perceived quality. End-users will understand why they are suffering degraded quality and will be able to identify the actual root cause. This avoids tons of frustration and minimizes complaints to application developers. End-users may be able to improve the situation by selecting a different network or getting closer to their access point.